First impressions are important, when meeting someone new in person, doing a presentation in front of a group and especially when you are selling your home. The added value is difficult to quantify but industry experts estimate an increase of value to be between 5% and 12% for the most simple and low cost projects. At the very least, a few planters, weeding all the gardens, adding beauty bark to the open spaces. We are early in spring so, adding some inexpensive plants such as flowering shrubs, perennials and quality mulch, and removing or trimming the overgrown plants in your yard will make your home much more pleasing to the eye. 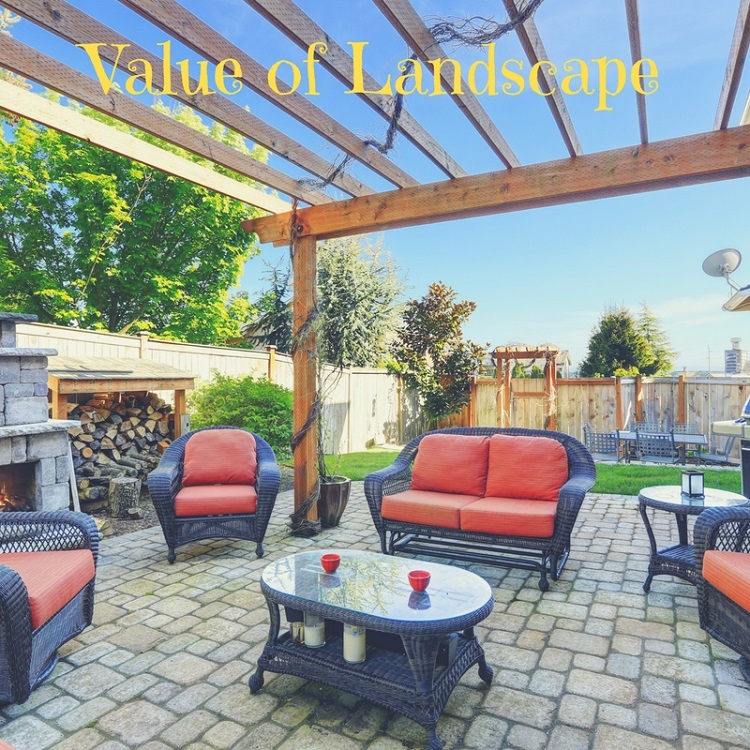 Creating an outdoor living space such as adding a patio, a deck, a fire pit, outdoor hearth can be costly but, could be the difference buyers are looking for especially since we are heading into spring and summer. It isn’t difficult to imagine all the good times spent with family and friends in these outdoor spaces. The return on this type of investment would be well worth the cost. Don’t forget the lawn. Fertilize with weed control, thatch to remove that northwest moss we all contend with, aerate the lawn to help it breathe and accept water down to the roots. Creating crisp edges on your lawn will add a look of a carefully tailored lawn. Remember any sprucing up on the lawn does take time, it isn’t as simple as adding mulch and planting a few flowers that can be done in a few days. So, be sure to allow enough time for the lawn to improvements to take effect prior to listing your home. Be sure to trim or remove completely any plants, trees or shrubs that are in contact with the home, as any home inspector will call out the contact as a great way to invite pests such as ants, termites, spiders and lots of other uninvited guests. Remember the goal is to make the perspective buyer WANT to get out of their car and go through the home and give your home real consideration to purchase. The usual assumption is “If the outside is in good condition, this inside will be in similar condition”.